Only a person who has ever used language learning games of Nintendo DS Games can understand how versatile this platform is to learn any language. In this world, there are people talking different languages. Learning all languages is not possible, but many of us desire to learn some new and useful languages in our lives. Some of us drop learning language idea due to lack of time and some for other reasons. But if you have zeal to learn language, then learning them in the old age will be the best option. As it is known that Nintendo DS Games are a complete collection of different types of video games and in this collection, language learning is one. Many people love this platform. 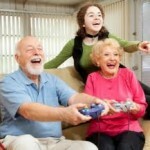 Especially, seniors enjoy learning languages using available games for seniors. 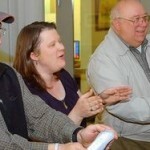 If you want your seniors to engage language learning activities, then ask them to try Nintendo DS Games once. The platform is quite interactive and provides easy instructions which help learning languages in quicker way. So, whatever language is your interest, you can learn it from here. 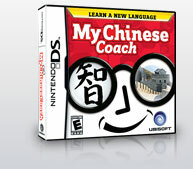 In the Nintendo DS Games’ language series, My Coach is quite popular one. In this game, you will see range of languages coaches like My Spanish Coach, My French Coach, My Japanese Coach, My Chinese Coach or so on. Using this collection of languages, seniors can learn any language they want. Every coach language series offers customized training for learning languages that help learning languages quickly to every type of learners. For evaluating right lessons, these Nintendo DS Games use to launch a particular placement test. This game series is related to listening, recognizing, writing and speaking trainings. 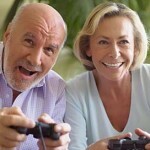 If seniors want to learn Spanish language, then the best games for senior are Spanish for everyone. Learning Spanish will be helpful to you if you have plans to visit Mexico or any other country where people communicate in Spanish. This game comes with multiple modes that make it a unique Nintendo DS Game. 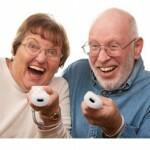 These modes help seniors to learn Spanish by knowing the basics of this language. Providing reading and learning Spanish lessons, the learners easily get familiar with this language. For a native English speaker, Classic word Nintendo DS game is one of the most accurate game that helps users to challenge their own English skills. This game provides interactive approach for gaming of using words. This game features around 15 classic games, videos and crosswords that make users become familiar with several new and difficult words and phrases.